Each photo measures 10" by 8" with a white border on all sides with the signature handsigned on the specially elongated bottom margin. 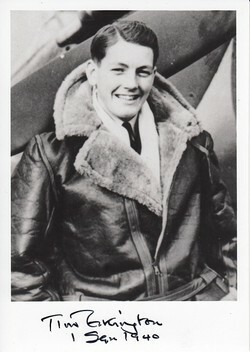 The photograph is from the 1939-1945 period and has been reproduced and then signed by Air Vice-Marshal J.F.G. Howe CB CBE AFC, who was Commanding Officer of No 74 Squadron from 1960-1961 flying the very first squadron to be equipped with the Lightning F1s. He was later station commander of RAF Gutersloh the home of the Lightning F2s of Nos 19 and 92 Squadrons. 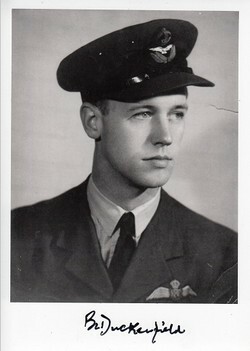 He was a SAAF pilot during the Korean War joining the RAF in 1954. Numbered and certified on reverse.